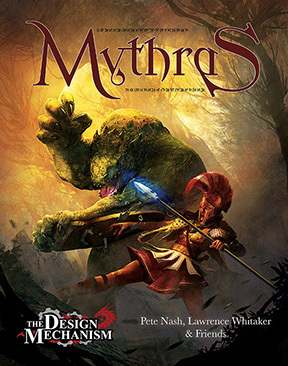 Currently, I'm running a sci fi game using M-Space, a version of Mythras set as a sci fi game akin to Traveller. You can see a lot of Traveller/CE DNA in the game, so I'm able to, with some conversion and elbow grease, add aspects of Traveller/CE into it. But that's not what this is about. 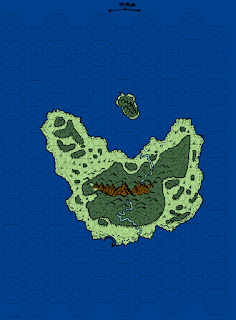 This is about the map I made for my players of an island affectionately called Chicken Island by my players. Because it looks like a chicken, I guess. This is the rough draft coloring of Chicken Island, one anyone can use for their sci fi or fantasy game. 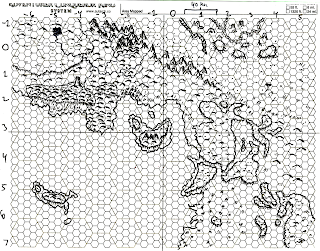 The hexes are 10 km but can easily be converted to 6 mi for those playing OSR games like ACKS. I drew the original by hand and scanned it with my crappy HP 2-in-1. After running it through Inkscape and then GIMP to make the lines smooth and bold, as well as the back ground transparent, I overlay the hex map on it and began coloring. It was a quick job sadly since I didn't have a lot of time to really get it done. But so far, I am happy with the way it looks. 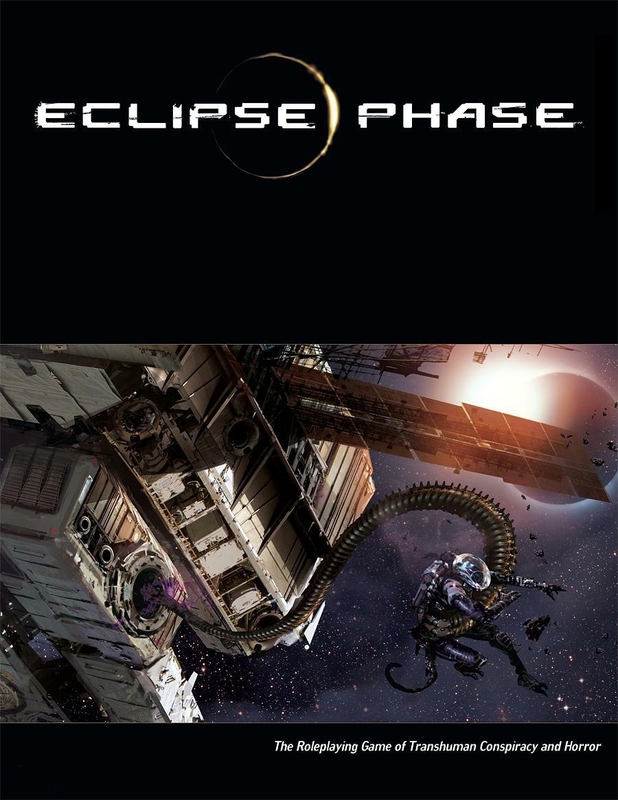 My players are currently adventuring on it, now that they have their first planetary colony making its foundation. I think I may have to do a bit of an explanation of the setting and maybe an adventure recap for them. I'd love to do some solo gaming with this, but for whatever reason, I can't seem to keep my focus on it for more than 20 minutes at a time. I have a lot of bread to make for the restaurant party on the 4th, so that's it for tonight. I may have to post pictures of the hot dog buns at another time. 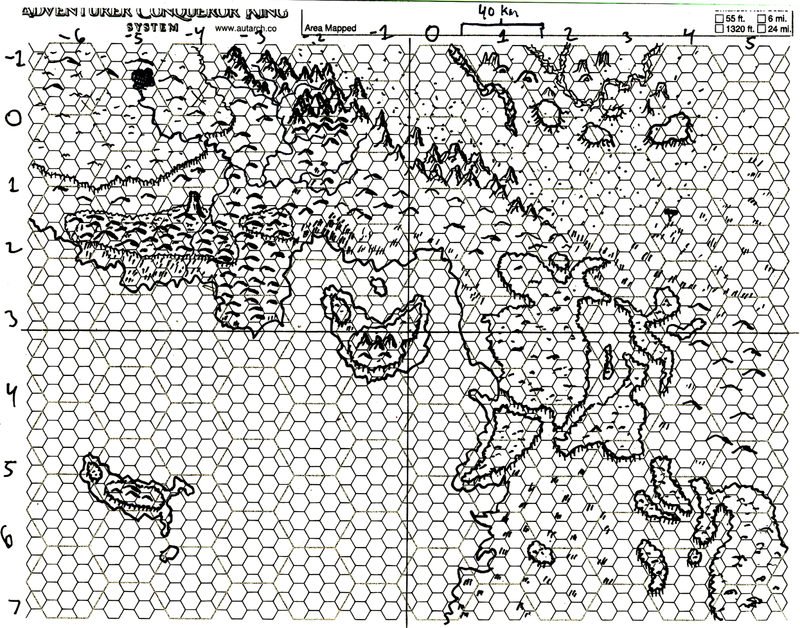 Below is the larger scale map for anyone that wants to look at it.